We are glad to start the year with an improvement in the warranty period of all our instrumentation. In addition, you have now available Silver Thin-layer flow-cell Screen-Printed Electrodes with circular working electrode, as well as Tin and Copper Nanoparticles. As instrument manufacturers, but also as researchers, we are aware of the importance of having a reliable supplier that offers long warranty periods in instrumentation. 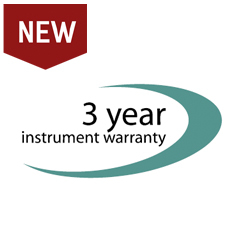 For this reason, we are very pleased to announce that the warranty period of all Metrohm DropSens instruments has been extended to three years, providing added value to this line of products. 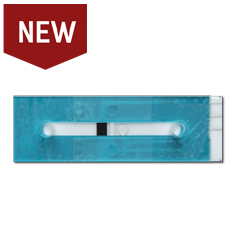 Along with the electrodic materials already available for your activities such as Carbon, Gold or Platinum, now this innovative thin-layer flow-cell SPE is manufactured in silver (ref. TLFCL010-CIR) too. Combining the use of TLFCL SPEs with the ref. TLFCL-REFLECELL and any SPELEC instrument is an easy and cost-effective system to perform spectroelectrochemistry in flow conditions. The use of this silver working electrode is specially recommended to perform SERS experiments. 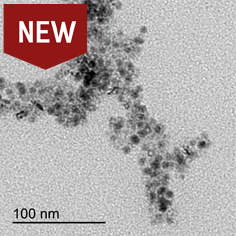 Metrohm DropSens releases Tin and Copper purified nanoparticles ref. SNNP-PUR and CUNP-PUR. These particles are produced through colloidal synthesis methods and later purified and concentrated removing any capping agent, which makes them very suitable for catalysis and electrochemical applications.